Bathtub resurfacing is a popular choice compared to replacing because of its cost effectiveness. You can save up to 75% on the cost of replacing your old bathtub when you consider the added delivery and installation costs involved. The process of ripping out the old bath (and disposing of it), as well as getting a plumber involved with fitting the new one is not going to a cheap and necessarily smooth operation. When you add it all up, it makes sense to resurface rather than replace. A question we are often asked is whether restoring a bathtub will get an 'as new' quality finish. Bathroom Werx use their own Werx Enamel, especially formulated and manufactured by us to produce a high quality, durable enamel finish to bathroom surfaces. You can rest assured that you won't be able to recognise your old bathtub, and you can even change the entire colour if you want. There's nothing worse than a bathtub that just won't get clean due to cracks, chips and degraded grouting. When the bath enamel wears down, scratches and rough spots appear that accumulate unsightly and unhealthy stains and mould. Once your bathtub is re-enamelled you won't need to rub and scrub any longer. The new glossy surface and re-grouting protects from the build-up of mould and stains so that your bathtub is restored and can be cleaned properly. If your bathtub has any unsightly chips, cracks or has any spots that are not smooth to the touch due to a wearing down of the enamel, these imperfections can be fixed during the enamel resurfacing procedure. Bathroom resurfacing technology has come a long way in the past few decades. Our very own Werx Enamel is developed through the culmination of 30 years of experience with re-enamelling bathroom surfaces to extend the life of the treatment as much as possible. The specialist Werx Enamel has been developed to be highly damage resistant to typical household chemicals and general use. That's why we can afford to offer a 7-year guarantee on our resurfacing services. The Werx Enamel is baked on to most bathroom surfaces using our unique Bathroom Werx Baking system, which not only giving you the option of using your bathroom again the minute we finish the job! So not only can you look forward to many years of extra life for your bath, you also don't need to wait long to make use of it once we're finished. A typical full bathroom resurfacing job takes less than 24 hours before it's ready to use, so a bathtub resurface takes even less time than that! The resurfacing enamel has an anti-slip factor to prevent injuries in the bath caused by the surface being slippery when wet. This is a far better safety solution than using anti-slip mats that attach to the bottom of your bath. Those mats need constant cleaning to avoid unhealthy bacteria and mould build up. Getting your bath resurfaced therefore can also help decrease the risk of injury in the bathroom without the need to buy and maintain anti-slip devices. Replacing your bathtub with a new one is not only more expensive by way of the pocketbook, it is also a waste of finite resources. Extending the life of your bath is a good decision for the environment's sake, saving it from landfill or having to go through an energy intensive recycling process before it can be repurposed and reused (in the case of metal bathtubs). When you compare the factors of production involved with providing you with a new bathtub with restoring your existing bathtub, the bath resurfacing option is easily shown to be the more sustainable way to go. It might seem more economical to do a DIY re-enamelling of your bathtub, but the results may not be as long lasting or evenly applied as you may hope. By getting a professional bathroom resurfacing business to perform the procedure, you can expect an excellent, consistent result that will last well into the future. 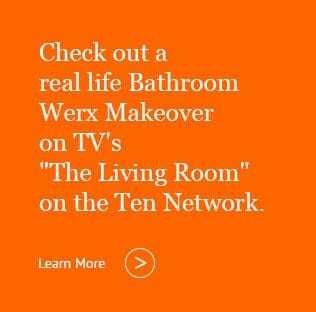 Bathroom Werx have been restoring old residential and commercial bathrooms for over three decades across Australia, saving owners time and money on renovations and amenity replacements. 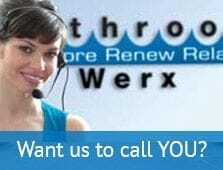 Find out more about Bathroom Werx' professional bath resurfacing service and get a free appraisal for your bath or full bathroom restoration project.